Depending on your belief, charity’s meaning is defined. How did He love man? What does one do to show our love to God in return? How shall we love our fellow men? Note what Jesus specifically said to the rich young man who asked what he should do to be acceptable for heaven. This young ruler showed great earnestness. He asked what he should do now, that he might be happy for ever. Most ask for good to be had in this world; any good, Psalm 4:6; he asks for good to be done in this world, in order to enjoy the greatest good in the other world. Christ encouraged this address by assisting his faith, and by directing his practice. But here is a sorrowful parting between Jesus and this young man. He asks Christ what he shall do more than he has done, to obtain eternal life; and Christ puts it to him, whether he has indeed that firm belief of, and that high value for eternal life which he seems to have. Is he willing to bear a present cross, in expectation of future crown? The young man was sorry he could not be a follower of Christ upon easier terms; that he could not lay hold on eternal life, and keep hold of his worldly possessions too. He went away grieved. See Matthew 6:24, You cannot serve God and mammon. How about you today? Would you depend only on giving handouts whether in cash or time or anything material that is temporary to get to heaven? God’s Word says ” without me (Jesus Christ ) you can do nothing” and in addition His requirement for entry to heaven is by God’s grace through Jesus ” 8 For it is by grace you have been saved, through faith —and this is not from yourselves, it is the gift of God— 9 not by works, so that no one can boast.” Ephesians 2. It is not by your works, but the gift of God to you – the righteousness of Jesus is the only way to heaven. It is as if He is saying, you must wear the cloak of Jesus’ righteousness through accepting Jesus as your covering before you are fit to enter heaven. 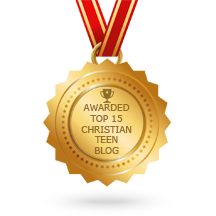 This entry was posted in CHILD OF THE WORLD, CHRISTIAN LIFE AND THE WORD, CHRISTIAN TAGALOG BLOGS, CHRISTIAN TEENS BLOGS, CHRISTIAN URDU BLOGS, SHARING STRUGGLES , Shaping Spiritual Solutions! and tagged charity, Eternal Life, God's Grace, god's love, grace, heaven, love, rich young ruler, works. Bookmark the permalink.